If you’ve ever fancied being a cover star, our flagship journal is currently running a competition for images to feature on its cover! The Journal of the Geological Society is looking for a cover image for Volume 173, to be published in 2016. Images should be 100mm wide x 310mm (1181 x 3661 pixels) at 300 dpi that will appear on the side and spine of the journal. Images can be anything, so long as they’re geological! Ideally, they will be simple and easily understood in monotone, such as rock faces. Please send your photos to JGS Production Editor Patricia at patricia.pantos@geolsoc.org.uk by 15 September. Please also include a 50-word description of the image with your entry. There are no restrictions on entry, and you’re welcome to submit images already entered into other competitions, provided their own entry requirements are met. For any other questions, please get in touch with Patricia. 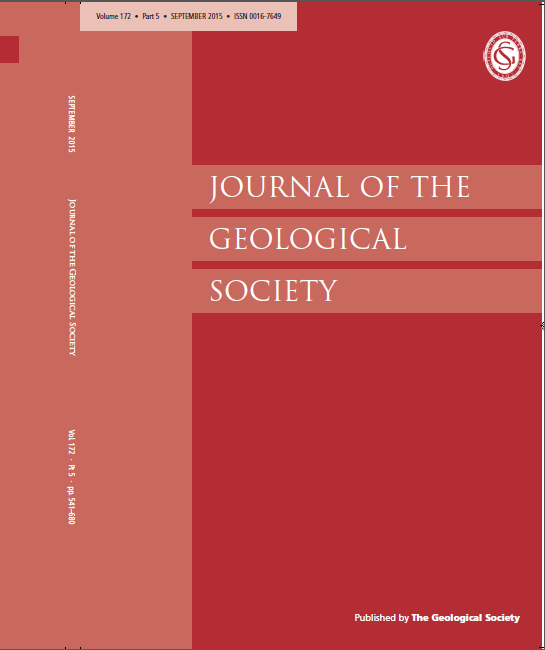 The Journal of the Geological Society (JGS) is the Geological Society of London’s flagship journal, publishing only the most topical and highest quality articles covering the full range of the Earth sciences. The Journal features short communications, interdisciplinary articles and reviews in key areas, and is one of the key titles for researchers in the geosciences. Tags: competition, geology, geoscience, journal of the geological society, photography. Bookmark the permalink. Previous post ← Geosites on the go!